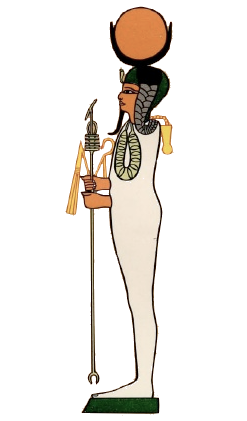 A man with a moon symbol on his head with a full wig, sometimes he wears the Atef crown. One of the moon gods less prominent in the New Kingdom then Djeḥuty and Khonsu. Sometimes seen as the adult aspect of Khonsu.